Kathy is an innocent, an outsider who longs to belong somewhere. Anywhere. Dreams of her half-sister Amber and of the centuries old Highgate Vampire are taking her to places she doesn’t want to go. 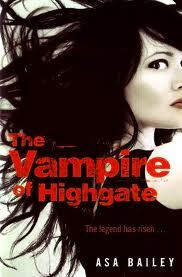 Categories: England, Horror, London | Tags: Asa Bailey | Permalink.